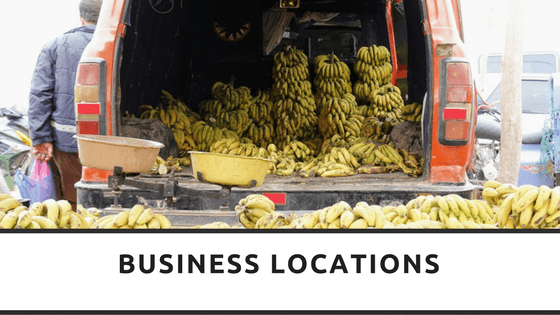 Once upon a time businesses were generally found in office suites or shop fronts, usually starting from inside someone’s house or garage but it seems today that there isn’t a location constraint where a business can function from. All over the UK little businesses are popping up in lay-bys on roads, offering anything from live chickens to healthy, tasty food. Recently in the news a particular stretch of road has been the focus of such an unlikely business location, some shop owners used to have a set location but due to the introduction of franchises and popular brand shops they found themselves picking up shop and moving to a more mobile location. On the A10 a burger van, tomato plant shop and a coffee shop selling cups of tea for just 50p are only a few who work side by side, in agreement with the local councils to not disturb the owners of local land and cause an obstruction. These business are enjoying a rewarding venture particularly with truckers who stop by for lunch with choices of a variety of foods, priced sometimes even 5 times lower than the local services. Local businesses can also place orders for fresh produce which is then delivered before they leave work and many locals enjoying showing their support of local traders. Not only providing a selection of produce and meals for drivers the staff have also been on hand when a driver has stopped with a medical emergency, one such recipient of their care is a gentleman who pulled over disorientated with blue lips. He now visits every year to say thank you and re-assure the traders he is still alive. Do you work out of an unusual location? or know some one that does? Then please do get in touch we would love to know where else people are taking their businesses.